By Terry Dunn on Feb. 8, 2017 at 7:30 a.m. While Apollo 11 astronauts were swiftly heading away from the surface of the Earth, NASA was also involved with another unprecedented voyage travelling in the opposite direction. The Apollo 11 Moon landing in the summer of 1969 captured the world's attention and had everyone looking skyward. But while Michael, Neil, and Buzz were swiftly heading away from the surface of the Earth, NASA was also involved with another unprecedented voyage travelling in the opposite direction. Only no one was watching. A small research submarine, called the Ben Franklin, carried a crew of highly-skilled explorers to locations never before visited by humans. Much like the astronauts headed to the lunar surface, the submariners placed themselves in great danger to expand our scientific knowledge and scratch that uniquely human itch to explore the unknown. "I grew up in the 60s, a decade of exploration. We were going to the moon and we were going to explore and colonize the sea. The sea was the next frontier just as space was the next frontier. There were two culminating expeditions: one to the Moon, one to the Gulf Stream. These missions were the ultimate voyages of exploration for their respective disciplines. There was no space mission greater than Apollo 11. And there was no expedition to the undersea world greater than the Ben Franklin. What was amazing was that both of these missions took place at the end of July in 1969." 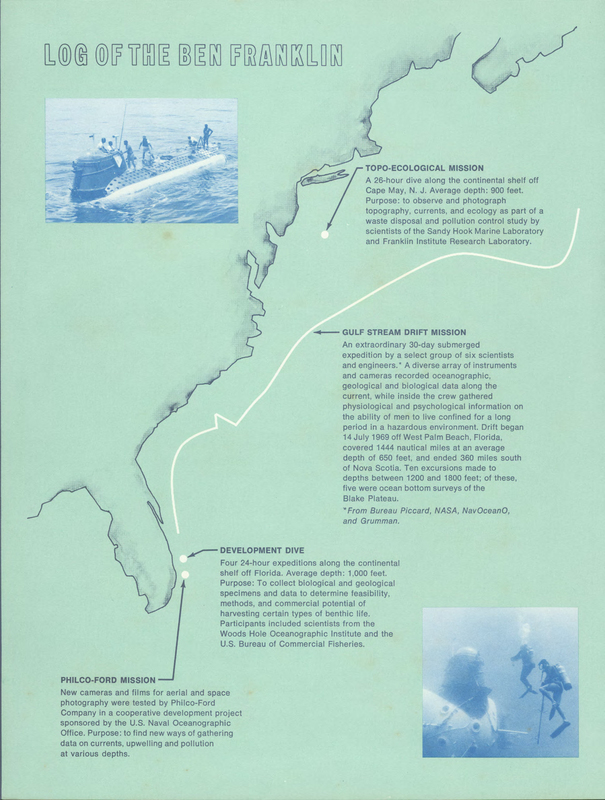 The Gulf Stream Drift Mission was an endeavor with many widely-varying scientific goals. Its core objective was to map and study the Gulf Stream, the Atlantic Ocean's northward-flowing current of warm water that stretches from the Gulf of Mexico to Europe and Africa. The effects of the Gulf Stream are wide reaching. It had often been the subject of previous scientific study, including pioneering work by Benjamin Franklin. What made this effort particularly unique is that the 6-man crew and the myriad instrumentation were not housed on a surface ship. Rather, they remained cocooned in a submersible vessel for the entire 30-day voyage covering more than 1400 miles (2250km). 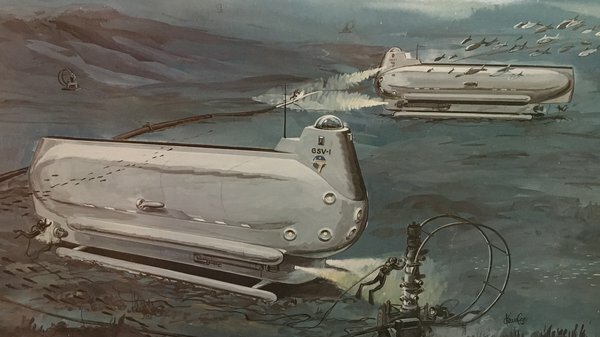 Their submarine (officially named PX-15, but christened Ben Franklin in a nod to the founding father's Gulf Stream studies) was something of a glider of the sea. Its four small electric motors gave propulsion sufficient only for slow translation and trimming maneuvers. The Ben Franklin relied on the current of the Gulf Stream to carry it along its trajectory at an average speed of 2.5mph (4kph). Support ships towed the vessel to its starting point off the coast of Palm Beach, Florida and brought it back to shore after it resurfaced off the coast of Halifax, Nova Scotia. 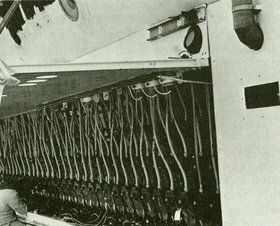 Thick Plexiglas portholes and powerful external lights allowed the crewmembers to study the ecosystems of the Gulf Stream at varying depths and locations. Average depth during the mission was 650 feet (198m), but the submarine was taken as deep as 1800 feet (549m). The crew was able to get an up-close look at the fascinating creatures that call this unique habitat home. I recall a conversation I once had with astronaut Stephen Bowen. He told me about how his time spent on US Navy submarines had prepared him especially well for his orbital missions, "Living in a big metal tube underwater…living in a big metal tube in space - it's the same thing!" Apparently, NASA managers in the 1960's had the same idea. The agency participated in the Gulf Stream Drift Mission in order to study how people would perform when subjected to long periods of hazardous confinement. The upcoming Skylab missions would place astronauts in orbit for up to 84 days at a time. Current stints on the International Space Station (ISS) can last 6 months or more. The human factors involved with such long-duration missions were relatively unknown at the time. NASA planners weighted these psychological and physiological concerns equally with the technical challenges they faced. Both the PX-15 and the Gulf Stream Drift Mission were the brainchildren of Jacques Piccard, a Swiss-born engineer and oceanographer. Piccard was already well-known for his previous deep-sea vessels and the voyages he took in them. Perhaps his most noteworthy adventure prior to the Gulf Stream Project was a 1960 trip into the Pacific's Mariana Trench with US Navy Lieutenant Don Walsh. Inside the Piccard-designed submarine Trieste, the pair reached a record-shattering depth of nearly 36,000 feet. Piccard came from adventurous stock. His father, Auguste Piccard, was a noteworthy high-altitude balloonist and a pioneer in the design of deep-sea vessels. Jacques' uncle and aunt were also renowned engineers and balloonists. The Piccard family tradition of ballooning feats continues to this day with cousins Don and Bertrand (nephew and son of Jacques, respectively). You may also recognize Bertrand from his role in the recent solar-powered flight around the planet in Solar Impulse. In addition to designing the PX-15, Jacques was the senior scientist aboard the Gulf Stream Drift Mission. He enlisted fellow countryman Erwin Absersold to help design the vessel and act as co-pilot. The US Navy provided two men from the Naval Oceanographic Office to serve aboard the Ben Franklin, Frank Busby and Kenneth Haigh. Haigh was an Englishman on loan from the Royal Navy. 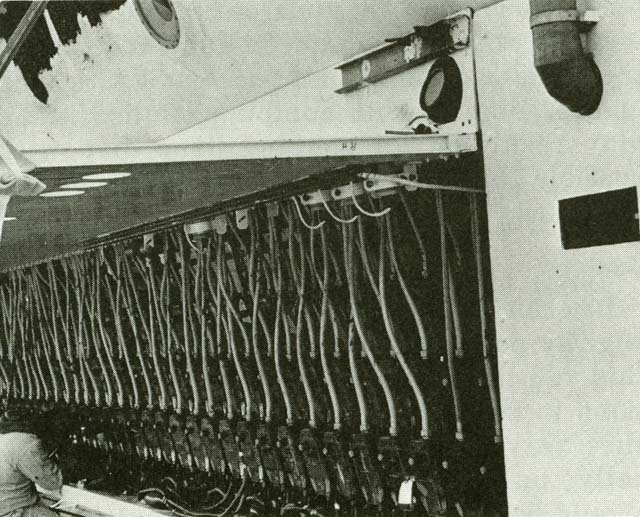 Both Busby and Haigh operated the ship's suite of sonar devices and instrumentation. NASA's man aboard the Ben Franklin was Chester May. The focus of May's study was the rest of the crew. Throughout the long undersea journey, he measured countless facets of their physical and psychological well-being. He studied how well the men slept, took note of physical changes, and even analyzed shifts in the crewmen's sense of humor. May's work on the Ben Franklin resulted in volumes of NASA policies regarding the ergonomics of long-duration spaceflight. These policies shaped the Skylab missions and continue to be reflected on the ISS. Grumman Aircraft made a name for itself by building notoriously tough airplanes for the US Navy. The company also had a hand in building the Ben Franklin (as well as the Lunar Module that landed Armstrong and Aldrin on the Moon). Grumman's contribution to the crew of the Ben Franklin was its captain, Don Kazimir. Abersold and Kazimir traded piloting duties aboard the Ben Franklin in 12-hour shifts. 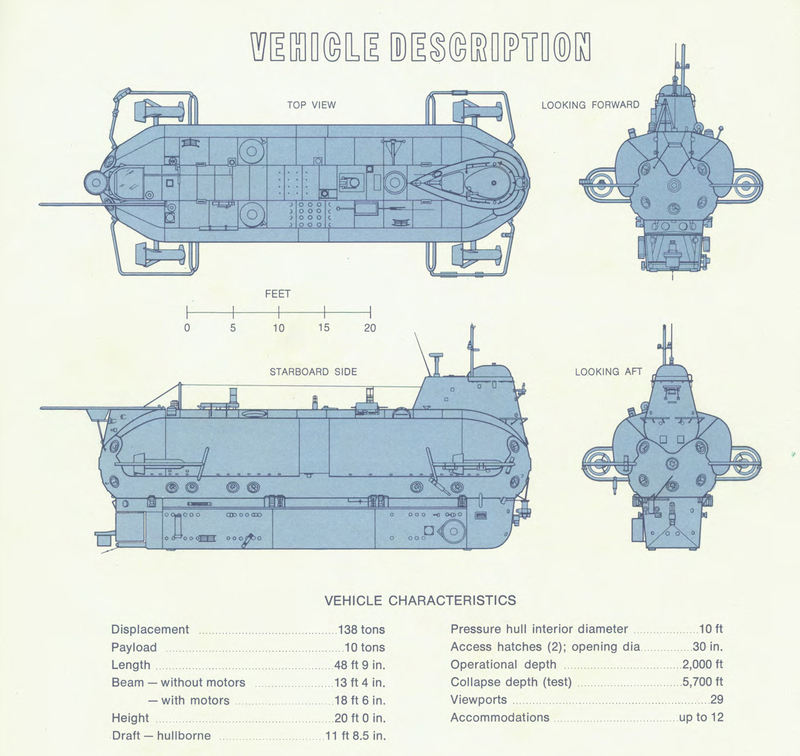 When the PX-15 was built, the navy's contemporary nuclear-powered submarines maxed out at a depth of 1000 feet (305m), Piccard and Abersold designed the PX-15 to safely carry its crew down to 2000 feet (610m). At that depth, the hull was subjected to more than 900psi (9205 Kilopascal) of pressure. This required a steel hull with a thickness of 1.4" (35mm). 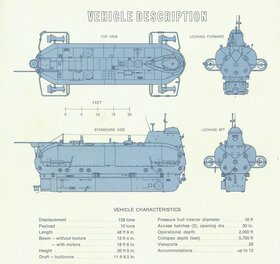 The 50-foot-long (15.2m) submarine weighed 147 tons (133.4 metric tons) and provided just under 500 square feet (46.5m2) of living space for its 6 occupants. Power for the motors and all onboard equipment was provided by a bank of lead-acid batteries weighing 26 tons (23.6 metric tons). These batteries were stored outside of the pressurized area of the ship and exposed to seawater. Once underway, the crew had no way to recharge the batteries. They kept a close eye on their power consumption to ensure that the batteries would last for the duration of the mission. Submarines control their depth primarily by managing the vessel's buoyancy. This is done by controlling the amount of sea water that is admitted into or expelled from ballast tanks. Conventional submarines also have powerful drive motors and movable airplane-like control surfaces that provide additional authority to control depth and attitude. Lacking these latter devices, Abersold and Kazimir were forced to oversee the buoyancy of the Ben Franklin with absolute precision. The crew, equipment, and provisions stored aboard the submarine all had to be accurately weighed and accounted for. Small metal pellets could be jettisoned overboard to accurately fine-tune buoyancy. Like any groundbreaking endeavor, the Gulf Stream Drift Mission encountered a few hiccups. The first problem was simply getting started. During test runs, support divers would feel a constant electrical shock when swimming near the submarine. The problem was eventually traced back to faulty insulation on the large-gauge wires in the battery compartment. The lengthy process of troubleshooting and repairing this critical problem pushed the start of the mission from May to July – a delay that would forever put the Ben Franklin in the shadow of Apollo 11. There were no major problems with the Ben Franklin or its equipment once the mission began. However, there were numerous minor malfunctions that constantly demanded the attention of the crew. Carbon-Monoxide and Carbon-Dioxide build-up in the cabin air was an ever-present challenge. Unexpected bacterial growth in the living quarters also proved to be an issue. The biggest anomalies, however, derived from the ocean itself. Off the coast of South Carolina, Kazimir noted that the depth of his ship was inexplicably oscillating. Some cycles saw the Ben Franklin change depth by as much as 300 feet. This caused concern among the crew since they were unable to get this deviation under control. The effect subsided once their path steered further away from land. It was eventually determined that they had become caught in underwater waves created by the differing temperatures of static coastal waters and the flowing Gulf Stream. Two weeks into the mission, near Cape Hatteras, the ocean had another surprise in store for the crew. The Ben Franklin became caught up in an eddy and was spit eastward, clear of the Gulf Stream current. The crew brought the Ben Franklin to the surface so that a support ship could tow them several miles back to moving water. Throughout this ordeal, the crew never opened the hatch that sealed them inside. So their 30-day goal for NASA's purposes remained intact. During much of the trip, conditions inside of the Ben Franklin were less than desirable. 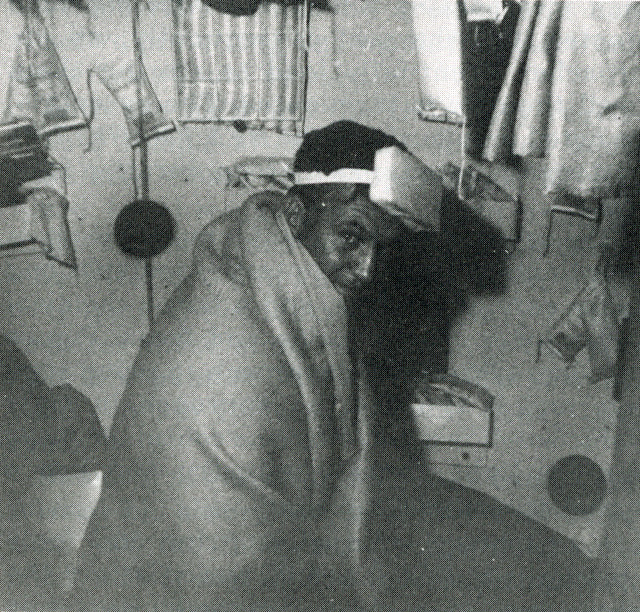 The cabin temperature often hovered around 56° Fahrenheit (10°C) with humidity sometimes reaching 100%. Condensation was managed by 500 pounds of absorbent silica gel distributed throughout the cabin. During the long tow off Cape Hatteras, conditions went to the other extreme. 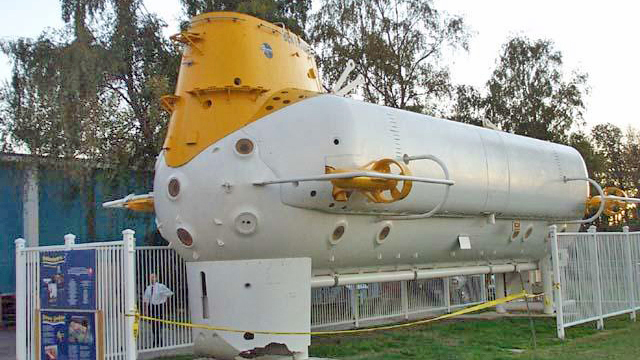 The surfaced and sealed submarine was subjected to summer heat with no ventilation. The Ben Franklin was like a sauna for several hours, but the crew persevered. Despite the challenges faced by the men aboard the PX-15, they accomplished every objective of their mission. They collected more than 2 million scientific measurements that boosted our understanding of oceanography, marine biology, and ergonomics. To this day, data collected by the Ben Franklin still forms the foundation of our knowledge about the Gulf Stream. After the completion of the Gulf Stream Drift Mission, the Ben Franklin and her crew were towed into New York Harbor for a return ceremony. Among the spectators lining the pier that day was high-schooler, Gene Carl Feldman. Seeing the Ben Franklin gave Feldman clear direction about the career he wanted to pursue. "When I saw the Ben Franklin with the guys coming in, it dawned on me that this is something that I could do. These are real people doing real oceanographic research. It was my first honest-to-God experience with what an oceanographer could do. I said, 'Someday I want to go on the Ben Franklin.'" While Feldman would achieve his goal of becoming an oceanographer, finding a slot aboard the Ben Franklin would prove to be nearly impossible. The submarine made only a few more dives following the Gulf Stream Drift Mission. None of these dives were of any notable significance (although one dive was the first deep-sea voyage of future Titanic wreck-discoverer, Robert Ballard). The historic submarine was soon sold off and abandoned in a Vancouver, Canada junk yard. 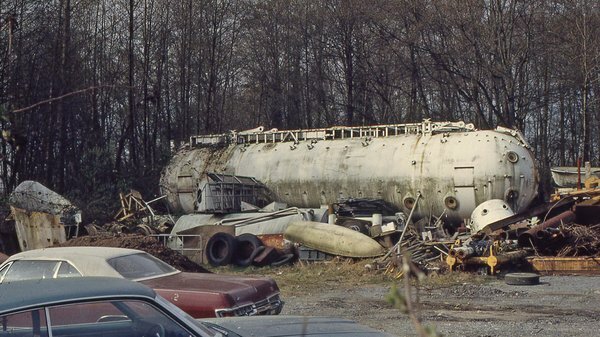 The submarine was rescued from its rusty purgatory in 1999. It was restored for display and now rests at the Vancouver Maritime Museum. The museum hosted a ceremony to unveil the Ben Franklin and invited members of the Gulf Stream Drift Mission crew. Over the years, Feldman had befriended several of the crew members, so he was present as well. While he was never able to perform research from within his deep-sea muse, Feldman was ultimately able to achieve his dream of coming aboard and having a close relationship with the men who once sailed her. Today, Feldman is part of a group that is pushing to bring the Ben Franklin back to the east coast. He and his colleagues have scouted a potential new home for the submarine in Palm Beach, Florida – the city where its unprecedented journey first began. The Ben Franklin currently resides at the Vancouver Maritime Museum. There is an ongoing effort to move the submarine to Palm Beach, Florida. Regardless of whether the Ben Franklin is eventually moved, Feldman's bigger and more enduring goal is simply to let people know what this historic submarine and her crew accomplished. The Gulf Stream Drift Mission is well-documented (including The Disappearance of the PX-15, a 2004 documentary by The Science Channel), but the event's unfortunate timing has relegated it to a state of near obscurity. 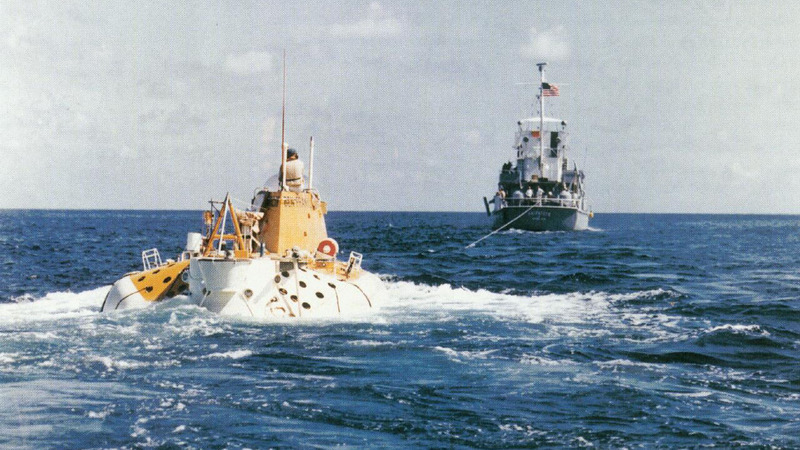 Feldman views the upcoming 50th anniversary of the Gulf Stream Drift Mission as a prime opportunity to correct history's oversight. There was a great reason to be looking upward in the summer of 1969, but many people missed another fascinating adventure that was happening down below. Special thanks to John Eagan of the Grumman History & Aerospace Research Center at Northrop Grumman Corporation – Bethpage, LI, NY, and Dr. Gene Carl Feldman of NASA. For further information, visit NASA's website about the PX-15 that is maintained by Dr. Feldman.